It’s always a little dubious when a favourite indie restaurant decides to expand with a second dining room — a bit like when a film studio announces a sequel to a great stand alone movie. Did the world really need a Grease 2? How about The Return of Jafar? 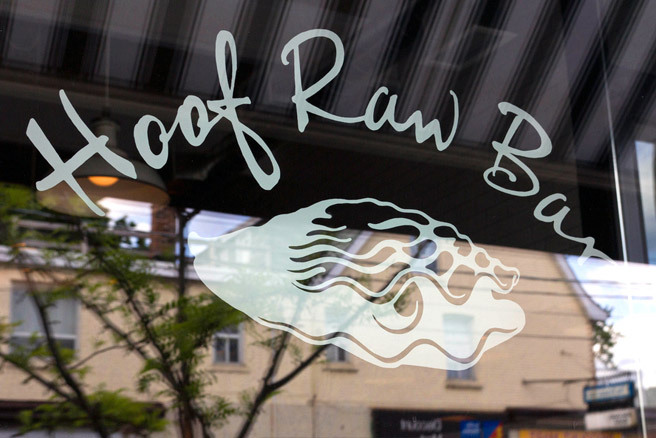 So it was with a bit of trepidation that I went to visit Hoof Raw Bar, a fish-focused offshoot of Toronto’s beloved charcuterie shrine, the Black Hoof. (True, there’s already the Hoof Cocktail Bar across the road, but as it doesn’t have a full dinner menu, I’m thinking of that more like a prequel — a genre that has it own weird baggage and expectations.) Anyway, here’s my comparison of the Black Hoof and Hoof Raw Bar. The first time I went to the Black Hoof two summers ago, it was a Thursday night and the room was so packed that my friend and I had to wait for an hour to get seats at the bar. We didn’t start eating until well after nine, but even then, more and more people were arriving at the door. There was never an empty chair, and the room was roaring with diners raving about the beef tongue sandwich and pork carnitas tacos.